Anesthesiologist Assistant is The Premier Employment-Solutions website for Anesthesia Professionals and Hiring companies! Anesthesiologist Assistants have the potential to earn $100,000 to 150,000 annually plus bonuses? Looking for Anesthesiologist Assistant jobs? AnesthesiologistAssistant.com is your on-line home for the latest Anesthesiologist Assistant, Anesthesia Technician job postings. Search our Anesthesiologist Assistant career resources, Anesthesiologist Assistant employment information and an award winning Anesthesiologist Assistant forum which connects Anesthesiologist Assistant's throughout the USA! 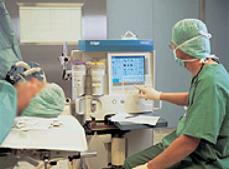 Employers POST your Anesthesiologist Assistant and Anesthesia Technician Jobs today! If you are an Anesthesiologist, Anesthesiologist Assistant or Anesthesia Technician, SEARCH our JOB site today and you will discover the largest pool of anesthesia jobs posted by leading healthcare facilities and anesthesia groups throughout the country! EMPLOYERS can POST jobs instantly and get guaranteed results! One of the fastest growing job titles in the U.S. health care landscape is a middle ground between doctors and nurses called the anesthesiologist assistant (AA). In an operating room, AA's work directly under the supervision of an anesthesiologist, helping to administer anesthesia for basic procedures and even surgeries such as advanced cardiac care, lung biopsies and liver transplants. These eight Anesthesiologist Assistant programs adhere to the guidelines as prescribed by the CAAHEP in setting the curriculum for prospective anesthesiologist assistants. To be eligible for and to be considered for admission into one of these eight Anesthesiologist Assistant schools, it requires that the student pass the entrance exam in form of a GRE or an MCAT (each Anesthesiologist Assistant school has a preference). Aside from the entrance exam and due to this profession being a masters degree, each potential candidate must have a bachelor’s degree with required prerequisites in english, science and math. The typical Anesthesiologist Assistant program covers 24 and 28 continuous months, together with curriculum hours up to 160 hours with clinical hours totaling up to 2,700 hours. As per the CAAHEP, students are required to study topics pertaining to anatomy, biochemistry, physiology, and pharmacology, with special emphasis on cardiovascular, renal, nervous, respiratory, and neuromuscular systems. Apart from these, the program involves study of life support systems, and principles related to medical instrumentation. Training in the functionality, as well as calibration of equipments in associated clinical laboratories is included in the program. Understanding the concepts of clinical decision making also remains a prominent part of the program undertaken in schools. After completing the Anesthesiologist Assistant graduate program, prospective candidates can begin internships in their prospective areas of preference. After passing the National Commission for Certification of Anesthesiologist Assistants (NCCAA), Anesthesiologist Assistants are eligible to work in medical or hospital facilities of their liking. Currently there are 18 states, which allow Anesthesiologist Assistants to practice.